T-Mobile has been pulling out all the stops this holiday season to try and swipe customers from the competition and its latest offer is no different. Between December 11 and December 17, the Un-carrier will give Verizon customers that make the switch a free one-year subscription to Hulu (in the form of a $100 gift code). Big Red defectors are also being offered a 50 percent discount on financed in-store accessory purchases (minimum of $69, maximum of $250) and aren't required to trade in their existing smartphone. This is in addition to up to $650 per line that T-Mobile will fork over to pay Verizon's early termination fees. In a statement on the matter, the always outspoken T-Mobile chief John Legere said Verizon customers put up with a lot of sneaky tricks from Big Red these days. 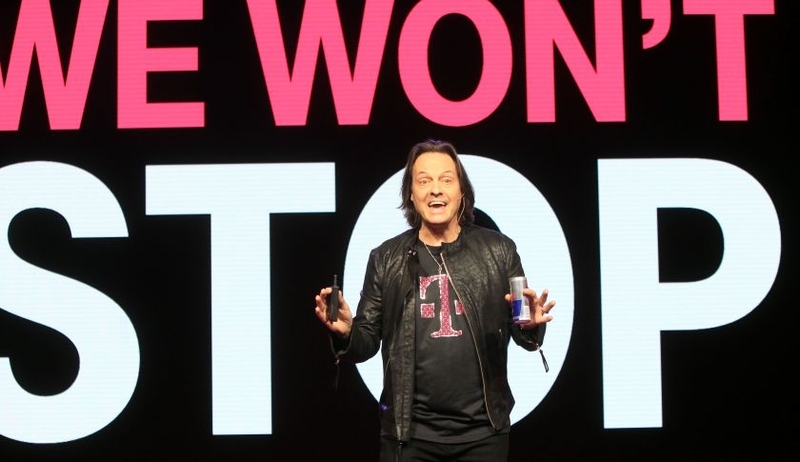 Legere cited overpriced data, shocking overage penalties and no early upgrade options as just a few of those "tricks." This is the fourth "Unwrapped" gift from T-Mobile thus far. The first gift was three months of Unlimited LTE for Simple Choice customers (likely in response to issues the carrier has been having with its recent Binge On promotion). Next, Sprint customers were offered $200 per line to switch and most recently, AT&T customers were offered a phone memory upgrade and half off accessories (the AT&T deal is still active through December 13).